..only with fewer mistakes. Just before sending off for the proof I spotted a funny, but galling typo. 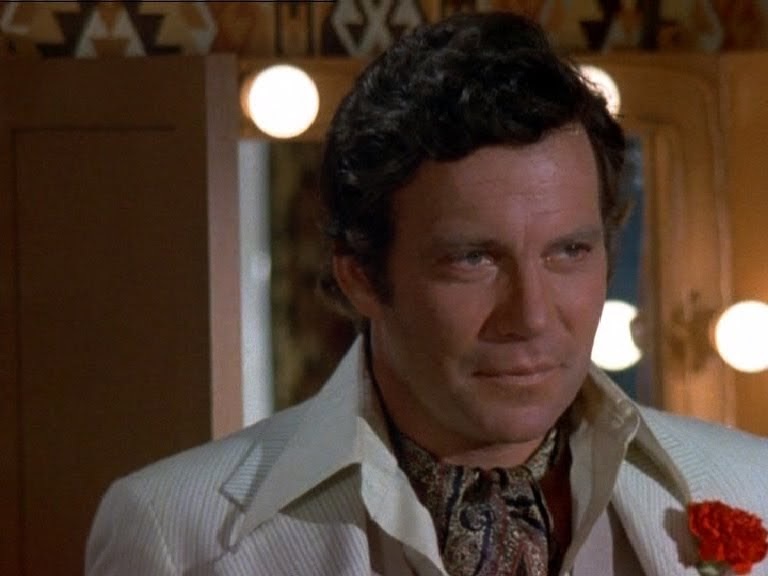 Good old Roddy McDowall had somehow got himself called ROWDY McDowall in the section where I list all the sources for my recipes. How did THAT happen? I blame an over-enthusiastic spell checker programme working in the background somewhere on my computer. I am going to lock myself in a small dark room when the proof arrives and read the whole thing caaaaaarefully and slooooooowwwwwwwlllllly to try and catch any other howlers before it goes to print. 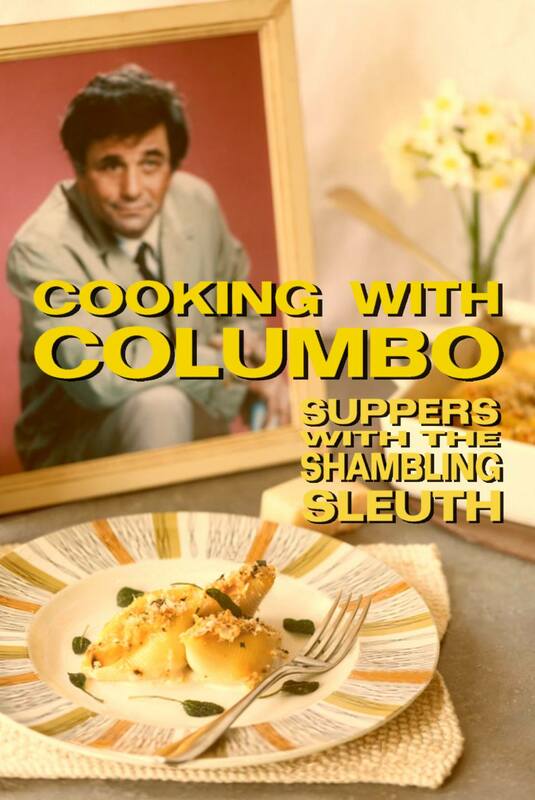 Not much cooking going on in Silver Screen Suppers Towers at the moment because of book work, but luckily, I have loads of brilliant test reports for the recipes that will feature in Cooking With Columbo to post up. 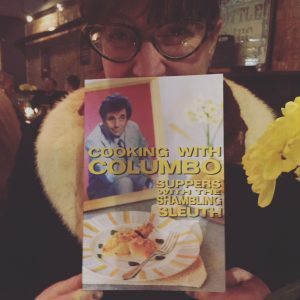 The photos of the chicken dish above were taken by my lovely work colleague Julie Winfield who went off-piste with the William Shatner recipe cooking a WHOLE CHICKEN using his recipe as a guide. Bravo Ms Winfield! What I would like to say is that I don’t think the ingredients had a great impact on the chicken flavour itself. The skin was deliciously garlic with a nice limey hint; the Vermouth made very little difference, except in the gravy – which I think is actually the star of this recipe. 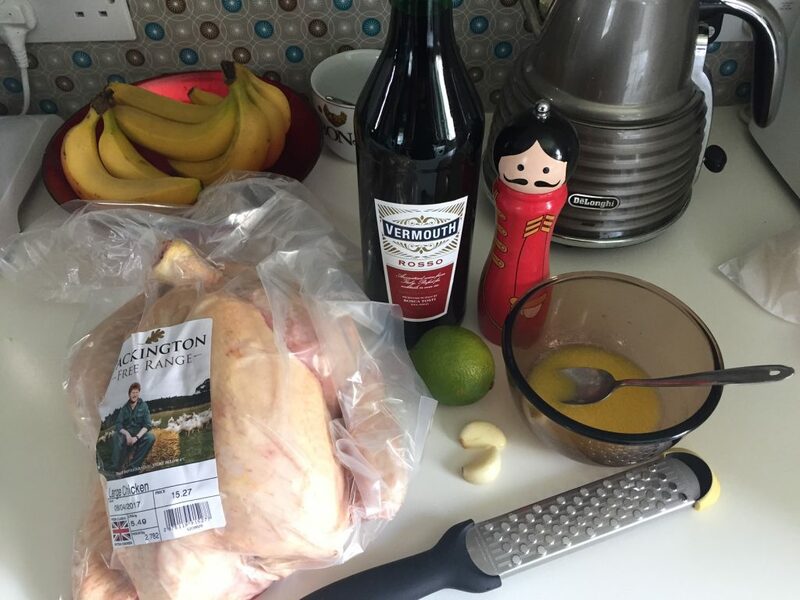 I’m going to try this recipe again sometime (mainly because I have a massive bottle of Vermouth to use up now, haha), but I might try it more as a stew sort of thing…chicken chunks cooked in the sauce, and possibly in a slow cooker. I reckon that might work better than roasting/broiling. I used a whole bird instead of quarters as that is much more cost effective for me. 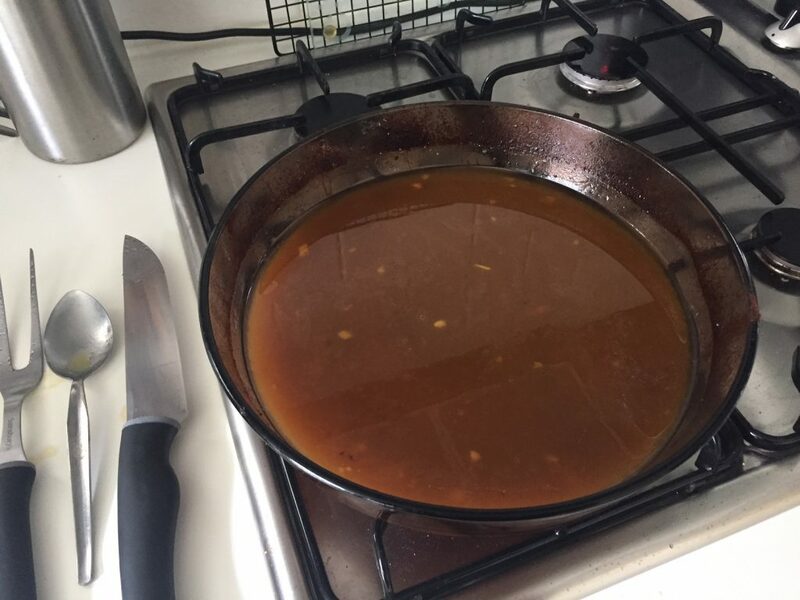 I made a small change to the serving of the pan juices, as I turned that into very delicious gravy, by adding some water, a chicken stock cube, and plain flour. Highly recommend! 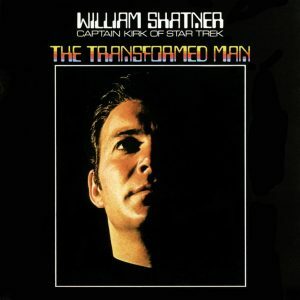 I didn’t watch the Columbo episode in which Mr Shatner featured, but I did have The Transformed Man playing whilst I cooked. That was traumatising, to say the least. What WAS he on?!! 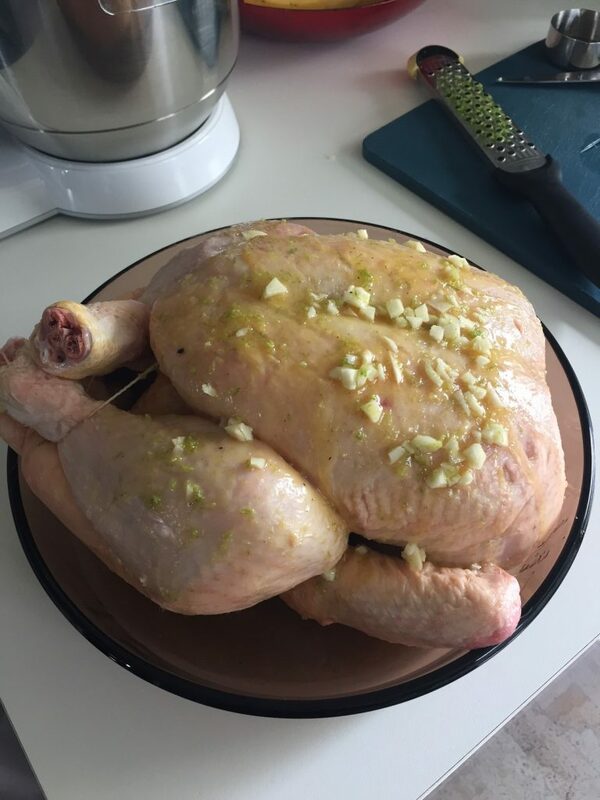 Thanks so much Julie, I loved your report and your chook looks divine! I might cook William’s chicken like this next time, or as you suggested, make a slow cooker version. 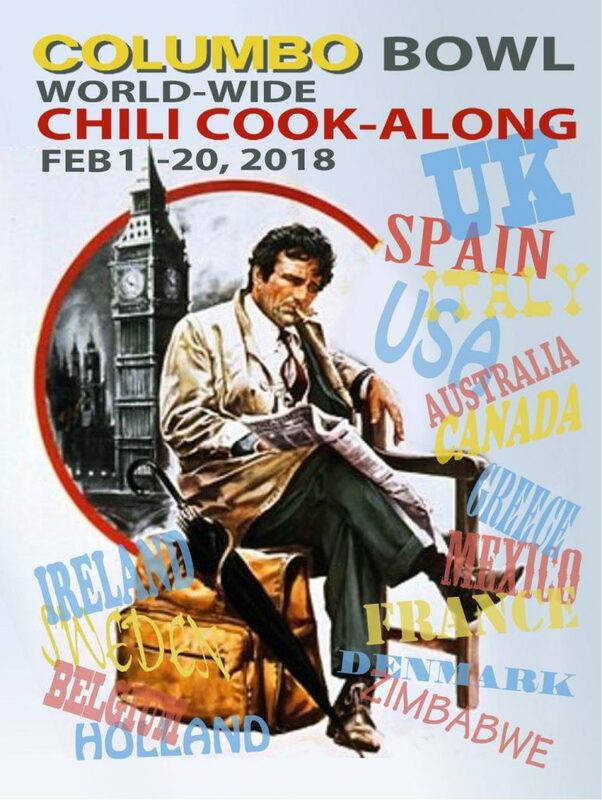 I hope you are all gathering together your ingredients for the Columbo Bowl – a world-wide international chili-fest cookalong! 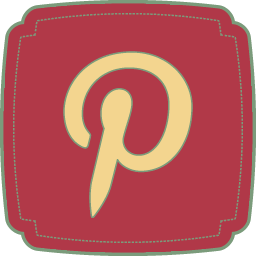 Everyone welcome, click here for the details. Do it! Rub chicken well with garlic halves, then crush and finely chop the garlic. Grate rind from lime; halve lime and rub chicken all over with the cut sides. Squeeze the juice of the two half lime pieces into bowl. To that add 1 teaspoon of the grated lime rind and finely chopped garlic. Next add the vermouth, melted butter, salt and freshly ground pepper. Blend these ingredients together. Place chicken pieces on lightly oiled rack in broiling (Roasting Dish) pan. Brush well with the lime sauce and broil (roast). Check every 10 to 15 minutes and brush often with more of the lime sauce. 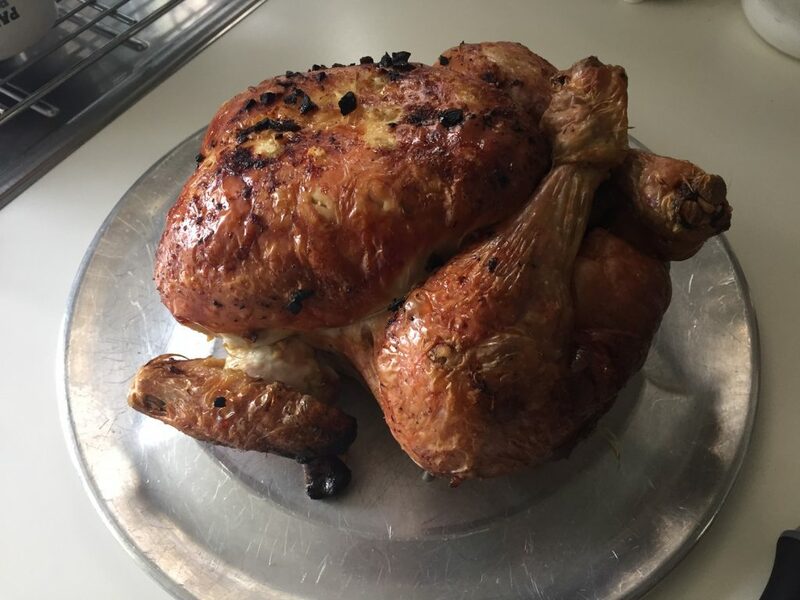 Cooking time will depend on the heat of your oven and the size of the chicken pieces remember the smaller chunks will cook more rapidly than a whole bird. Serve with pan juices mixed with remaining lime sauce, and garnish with lime slices. This recipe looks fantastic! 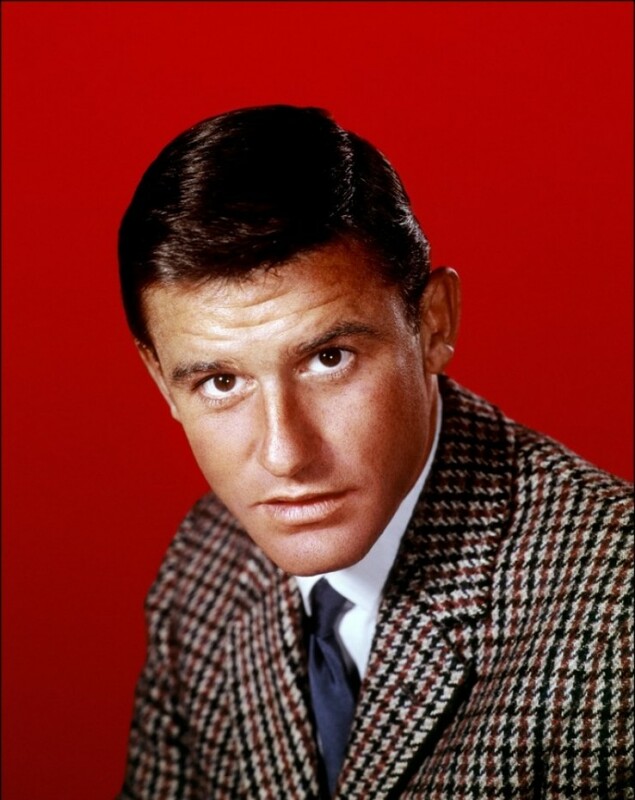 And from what I understand, Roddy McDowall SHOULD have been called Rowdy McDowall. I am looking forward to cooking this!